For small companies, especially those that are new, hiring an employee is a big endeavor. There are many considerations that need to be taken, all of which can be overwhelming to business owners. Prior to hiring a new employee, it would be in the best business practice to consult an experienced employment lawyer in Los Angeles. The first step in hiring a new employee should be to properly identify the job role. Having a clearly defined job role and description will help you determine the type of employee would be the best fit. It would also allow you the find the best candidate. At-Will Employment: Most employees are “at will employees.” Under California law, this means that either party can terminate the employment at any time, for any reason (exclusive of illegal reasons such as discrimination). However, in California, at-will employees are guaranteed certain minimal rights, including mandatory sick leave dependent on length of employment. Fixed-Term Employment: This is a formal contract between an employer and employee that outlines a specific term for the duration of employment. The term is typically guaranteed, but for specific causes for which the employee may be terminated. Contractor: Contractors are typically employed for temporary or short-term employment and/or projects. Contractors are not literal employees and typically do not receive any benefits—just pay. There are strict legal guidelines that outline how much you can control a contractor. Most employers require employees to sign an employment contract outlining details such as starting pay, benefits, bonuses, and job responsibilities. There are a few other provisions that employers should consider including in their employment agreements or offer letters. Your business will, most likely, have certain information that should be kept confidential, such as trade secrets, customer information, or business methodology. You will want to protect this information from third parties, especially after an employee leaves or is terminated from your company. Accordingly, it is imperative to include a confidentiality provision or a completely separate confidentiality agreement. Such agreements are specially constructed for each business and require that the employee sign upon acceptance of employment. These confidentiality agreements outline the type of information that is confidential and cannot be disclosed and include remedies in case of a breach by the employee. In other states, employers also often include non-compete provisions. However, in California, an employer is generally unable to enforce non-competes unless it is in connection with a sale of a business; however, as an employer you can include non-solicitation provisions, which protect your company against ex-employees poaching your clients or other existing employees. 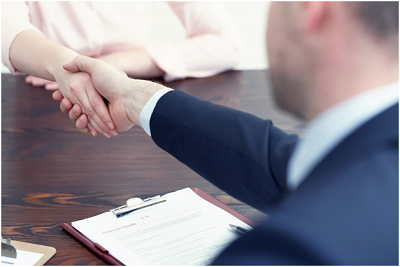 If you are considering hiring new employees for your business, or if you are concerned about the legality of your current employment policies, it is in your best interest to consult with an experienced employment lawyer in Los Angeles today. Hakim Law Group is one of the leading corporate law firms in Los Angeles. With the expertise and highly experienced legal team, Hakim Law Group will provide the results you desire. To schedule an appointment please contact HLG at 310.424.8913 or visit www.HakimLawGroup.com to learn more.